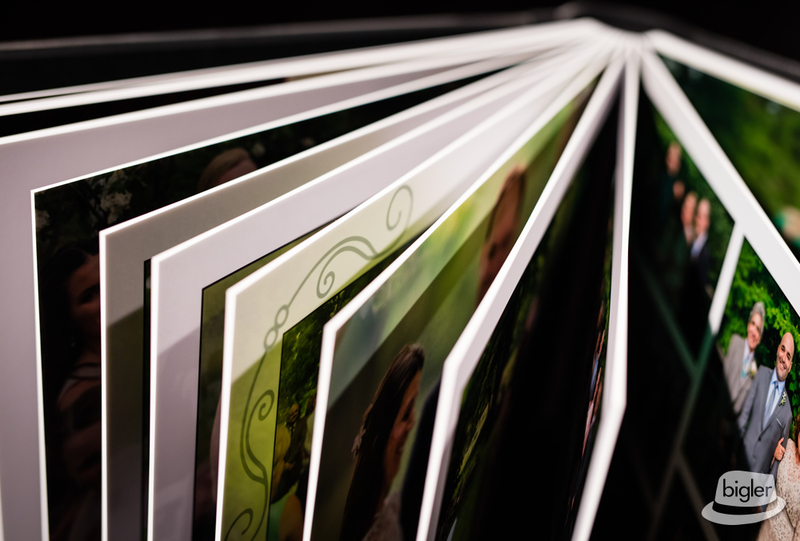 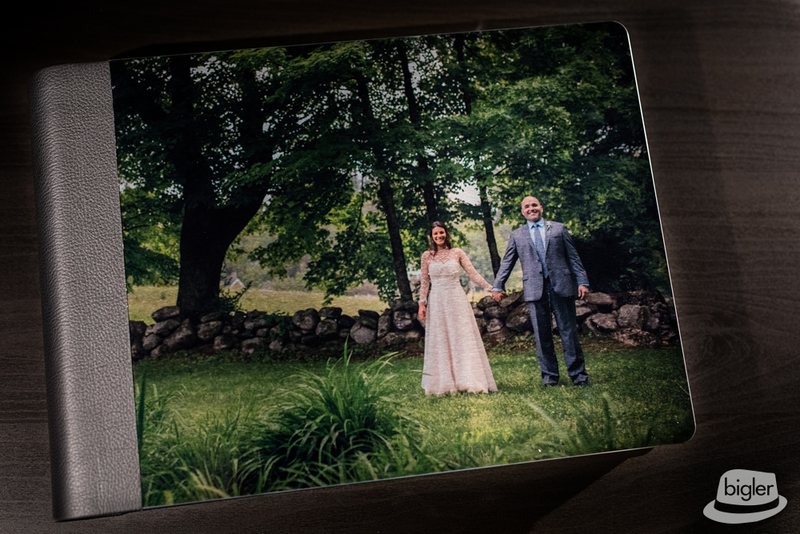 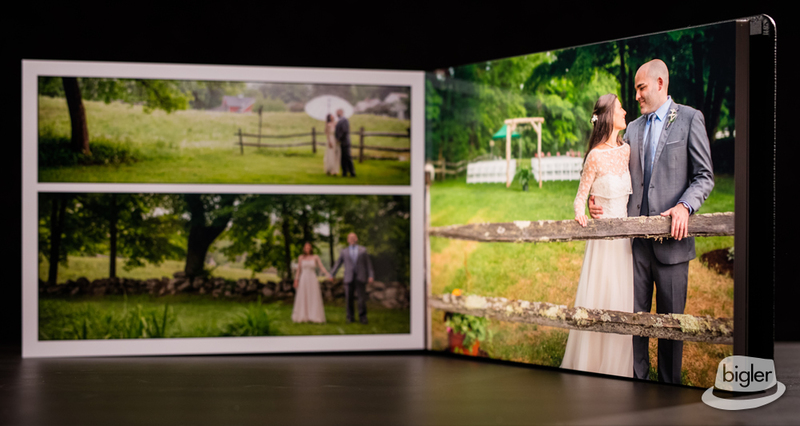 Stef & Paul had this beautiful wedding album created to celebrate their wedding day. 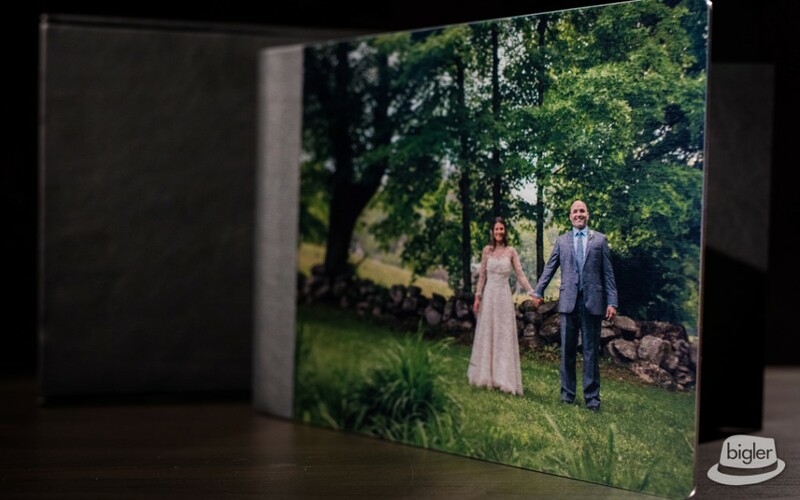 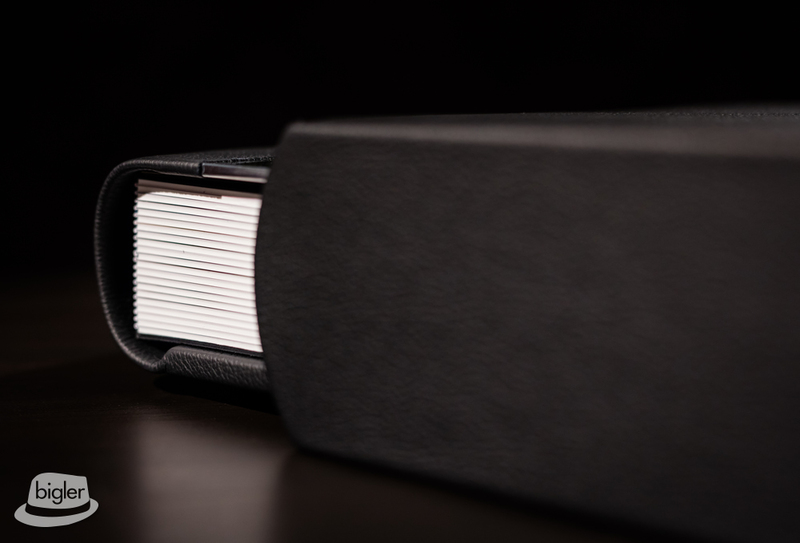 They ordered a 9.5″ x 13″ custom leather album with a metal photo cover. 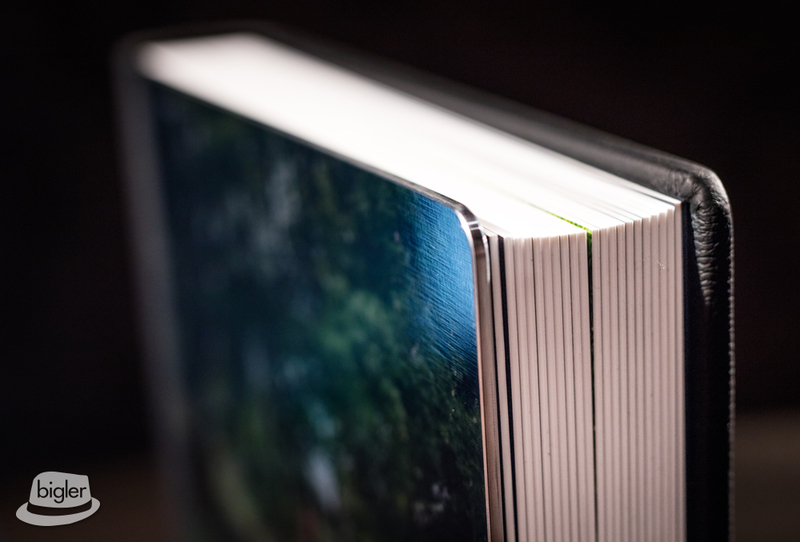 They also choose to upgrade to the metallic photo paper for the pages, which gives a great sheen to the photos. 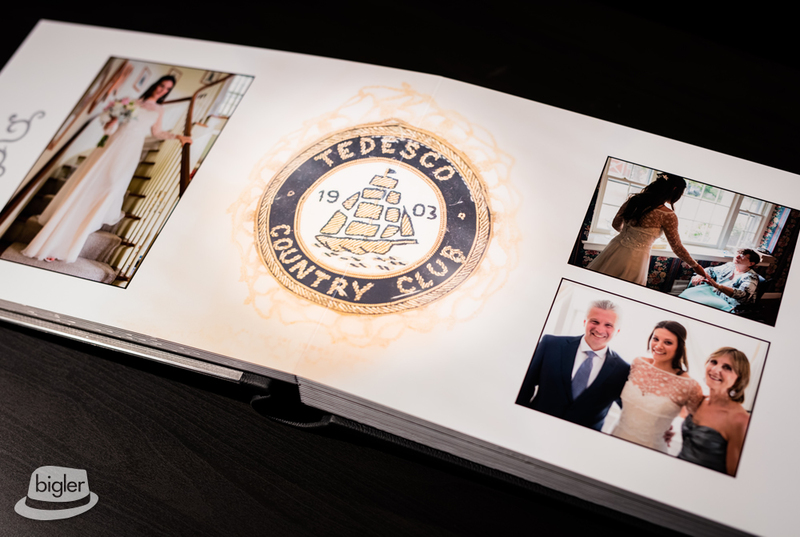 Cap that off with a black leather sleeve and you have an amazing keepsake of a fantastic wedding day!